This Christmas card is free for private use. Please, don’t edit this card. If you want to write your own greetings look at my Xmas Card video. Xmas Video with Duo Forelli Music on the background. It shows you how to edit text on the empty version of this card. The needed hyperlinks addresses are Photoscape, free Photo Editing Software and the version of this card without text. If you save the card from this blog post, please enlarge it by clicking it with your mouse cursor and it will be opened to the new tab page in its real size. At the same time as I wish you Merry Christmas and Happy New Year, I like to thank you for visiting my blog and for giving me a chance to visit your blog(s). I hope to see you again next year. This entry was posted in Holidays, Literature, Music, Society, Technology, Visual Arts. Bookmark the permalink. Thank you very much for your kind wishes as well as for your lovely words above. Very beautiful the card, the lyrics , the music. Thank you for the chance to use them as well. Your blog speaks straight to the heart and I wish you Merry Christmas and A happy New Year as well. Thanks for your lovely words and the same wishes to you. Wishing you all the very best for the end of this year and on. Thank you and let every butterfly of your imagination fly next year too. happy holy holidays to you too! many thanks for stopping by food for fun–hope you enjoyed your granola bars and eggnog 🙂 You have a lovely way with words! Thank you. It was my pleasure to stop by you blog. Thank you. Happy Holidays and inspiring next year. Thanks for your visit.You are a impressive colection of cards. 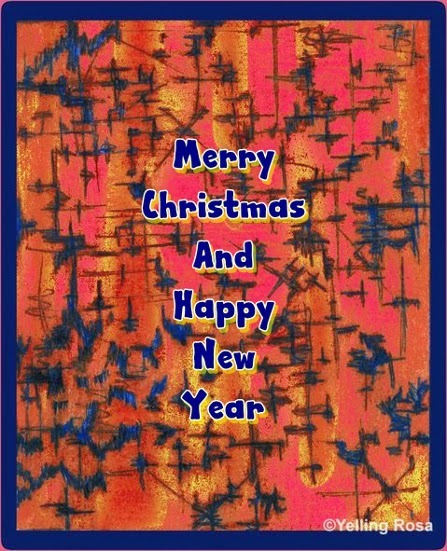 Thank you and have a nice Christmas time. Thank you very much. One sunny day I try to translate Keskustelu Motelissa (Conversation in Motel) song. I hope you have also a lovely Christmas time and peace. A very lovely post, Dear Sir! Wish you a great ’14. Thank you for your wishes and compliment. I wish you also a rewarding year. I am always looking forward to seeing your new photos, (but in your own time because haste just makes waste).